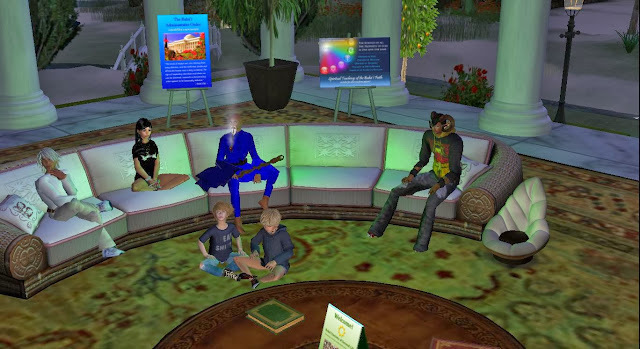 This third phase of Baha’i-inspired efforts in Second Life has been characterized by a bottom-up, gradual acquisition of properties and construction of venues as the need and opportunity arose, in parallel with the establishment of regular weekly events, while continuing with outreach efforts. 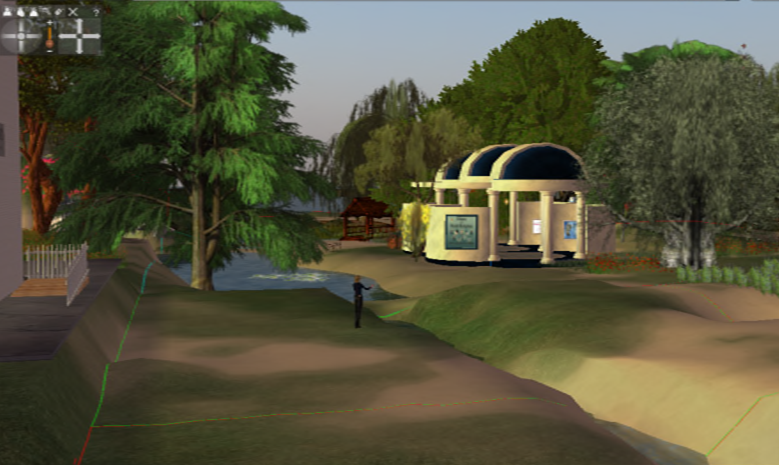 As a result of this positive experience with the FUUSL community, in late 2012 the group decided to purchase their first small parcel on the UUtopia region next to the UU Library of World Religions. 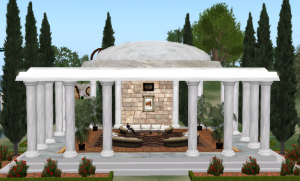 There, with the kind assistance of Belovan Zuta and other neighbors, they built a lovely Bahá’í Center in a Greco-Roman style and moved the weekly Bahá’í discussions there. Soon, the need for more room and ‘prims’ led the group to purchase an additional plot. In order to offer a more systematic study of the Bahá’í Teachings, permission was obtained from Paul Lample to read and discuss chapters of his book “Bahá’u’lláh’s Teachings on Spiritual Reality” at a weekly event named “Bahá’í Insights on Spiritual Growth”. 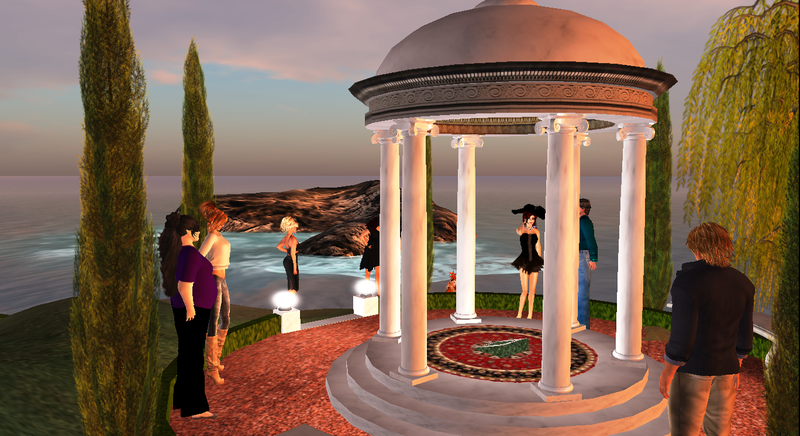 These are currently ongoing on Fridays at 6:00 p.m. Second Life Time (SLT = Pacific Daylight Time). 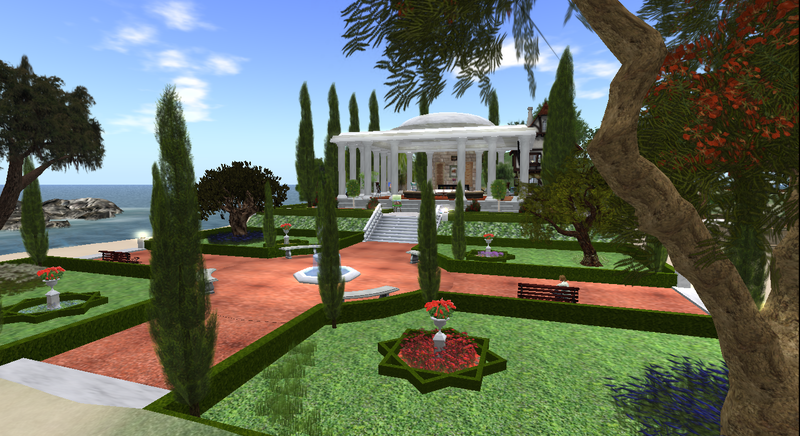 In mid 2013, the UUtopia parcel was doubled, and a formal garden was built in front of the Baha’i Center to beautify and buffer it. It was created in the general style of the formal gardens at the Baha’i World Center and Holy Places in Haifa and Akka, Israel. It has attracted many curious visitors and become a neutral meeting point for friends to gather. In late 2013, the UUtopia parcel was extended again to make room for the Lotus Temple across the garden from the Baha’i Center. The building is an artistic rendering of the Baha’i Temple in New Delhi, India, by digital 3D designer Jesahel Layli Newton-Bernal. 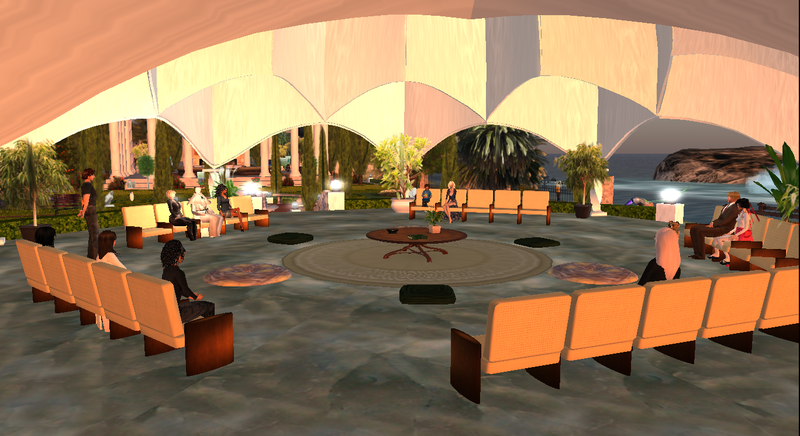 Here, weekly Interfaith Prayer Circles are held on Fridays at 5:30 pm SLT, where participants share prayers and writings from diverse faith traditions, many taken from multifaith, multilingual prayer books on the center table. The temple streams unaccompanied coral renditions of the Baha’i Writings, from which nine quotes around the inside were also taken. 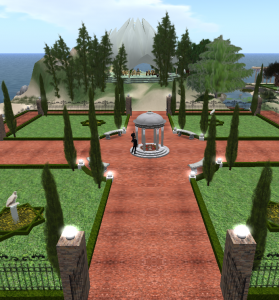 Once the Lotus Temple was built and regular multi-faith prayer meetings established, the Baha’i community established the Interfaith Prayer Network as a way to promote an increasing diversity of this type of events among different groups and regions in Second Life. For a more complete description of this effort, click here. 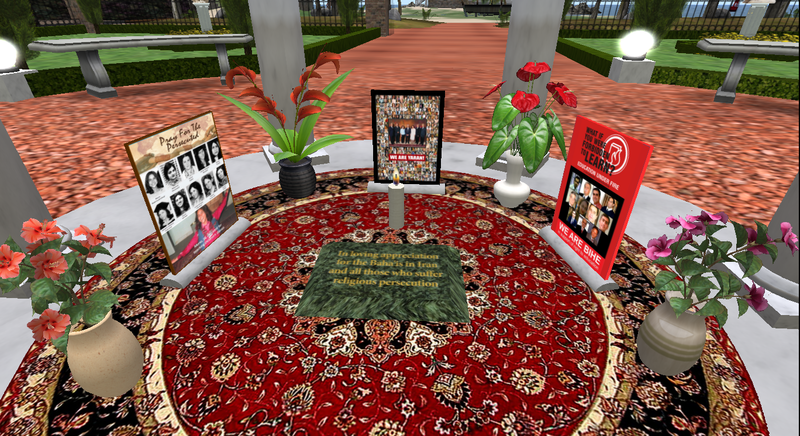 In 2014, the friends built a Memorial Shrine in honor of the persecuted Baha’i community in Iran, fashioned after the memorial shrines at the Baha’i World Center on Mount Carmel in Haifa. It included a commemorative plaque and posters containing information on the Iranian genocide against Baha’is, such as those executed such as 16-year-old Mona, sent to the gallows for teaching children’s classes; the seven Yarán (Friends), imprisoned for helping to organize the affairs of the Iranian Baha’i community; and the Baha’i Institute for Higher Education (BIHE), created in response to the expulsion of all Baha’i students from Iranian universities. The shrine was originally located on a lovely parcel behind the Baha’i Center, complete with a waterfall, flowers and trees. In 2015, however, the friends were able to secure a larger parcel between the Lotus Temple and the Library of World Religions, where a formal Memorial Garden was placed with the shrine at its center, similar to the garden between the Baha’i Center and Lotus Temple. It is a befitting place for reflection and prayer for all those who suffer persecution for their beliefs and way of life at the hands of those who claim to act in the name of religion.